MFT Card Challenges: Tips, Tutorials, & Techniques - Let it Snow! Tips, Tutorials, & Techniques - Let it Snow! 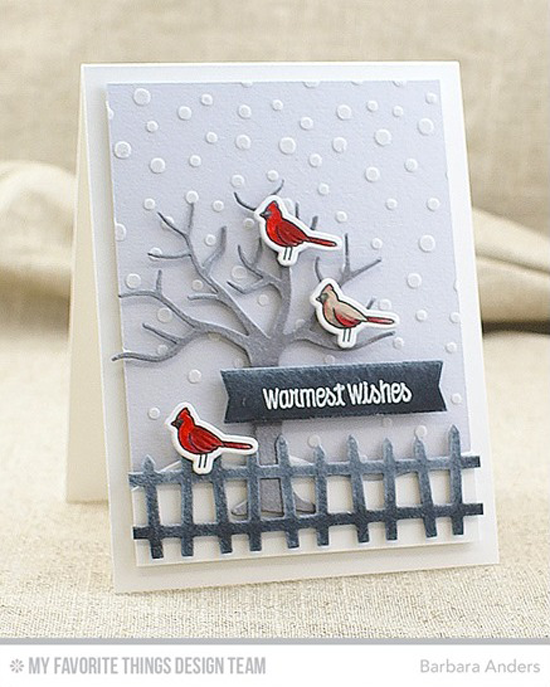 It's the time of year when your cards take on a wintry look, and what's winter without a big dumping of snow? OK, maybe not in the tropics, but a mantle of white is a beautiful sight to behold! Today we're taking a look at fun ways to add a magical touch of snow in your card designs. Watch the video below or click here (MFT October Release Class - Peaceful Snow Scene) to watch it on YouTube. Don't forget to subscribe to our YouTube channel so that you don't miss a single tutorial! This is just one of our five FREE October Release Class videos. You can find the other four HERE. For more Christmas paper crafting inspiration, be sure to check out our A Very Crafty Holiday video series HERE. Let's take a look at more examples of how to let it snow on your designs! Barbara creates a serene snowy scene with the Snowfall stencil and our Snow Drifts Die-namics. I love how she used some Halloween products to create this wintry design! Yoonsun created a colorful Christmas greeting with the Snowflake Flurry stamp set and the Snow Drifts Cover-Up Die-namics. So inspiring! Keeway did some ink blending on her card and then splattered some white acrylic paint to create a soft snowy sky. And of course, the Snow-Capped Mountains Die-namics tops it all of nicely! 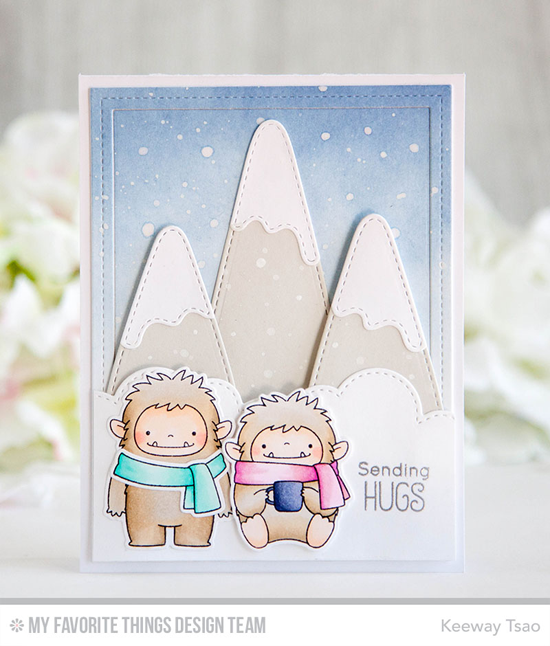 You will LOVE creating handmade cards with a blizzard of snow. Be sure to tag #mftstamps when you post your projects online. We can't wait to see what you've made! These are awesome cards. Thanks for sharing! Cheers! Really Adorable cards!!! Totally Loving the new release!! !